I decided to jump on the Throwback Thursday bandwagon on Instagram. I wanted to do something for my Mom because she does so much for me. When my Grandma, her Mom, passed away almost two years ago we got a whole bunch of photos among other things. Some were just piles of photos and some were framed . Honestly we have not touched the framed photos since we got them. It was a really hard loss for my whole family. So today I was looking for some older photos of my Mom to put together a collage-like picture idea. My Grandma had 10 kids and there are 29(ish) grand-kids and 7 great grand-babies(as of now) plus spouses. So needless to say she had a bazillion pictures. But she had each of her original 10 kids senior pictures framed above her bed. So I went to take my Mom’s senior picture out of its frame to copy it and behind her picture I found all these others. It was an amazing surprise. My Grandma really is a guardian angel in my life and I believe in the lives of my whole family. And some days she makes it a point to remind me that she is watching over me. So I shed a few tears and snapped this quick picture. I love it. And I love my Mom and my Grandma very much. I miss my Grandma very much still but I can still feel her with me in my heart. F.Y.I – My Mom’s senior picture is the center one in the bottom row. 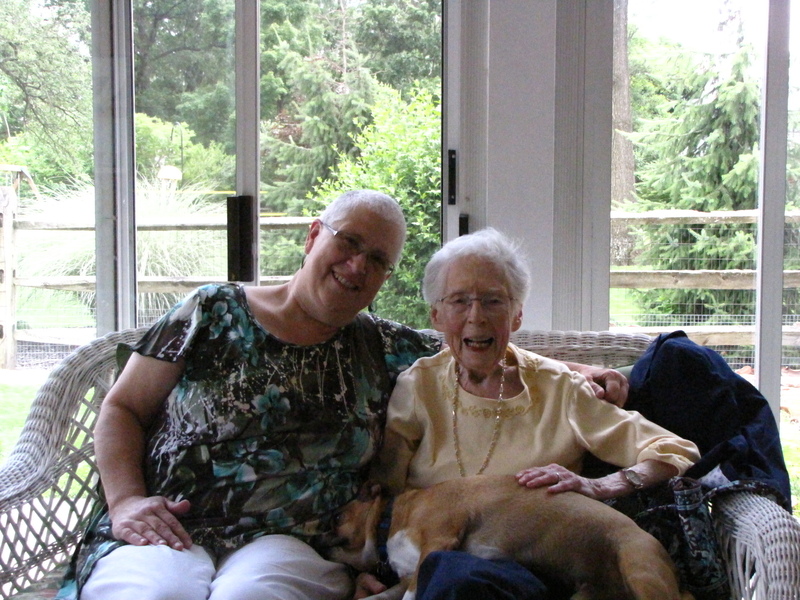 The lovely lady with the dog in her lap is my Great-Aunt Jane. And sad to say she passed away earlier this week. My Mom (the other lovely lady in the photo) was devastated. But my Great-Aunt Jane led a long life in which she devoted herself to taking care of so many people. My first thought, after some tears, was that all those people, I am sure, were so excited to greet her in heaven. My Grandpa and Grandma and my Uncle Joe and Jack and Pat and probably most of all her husband. Great-Aunt Jane contributed all of the historical knowledge I have about the Kennedy side of the family. I will miss going to the Cincinnati art museum with her and I will miss having brunch at that fancy restaurant that is really a hotel, that always reminded me of a castle. She was an amazing lady. 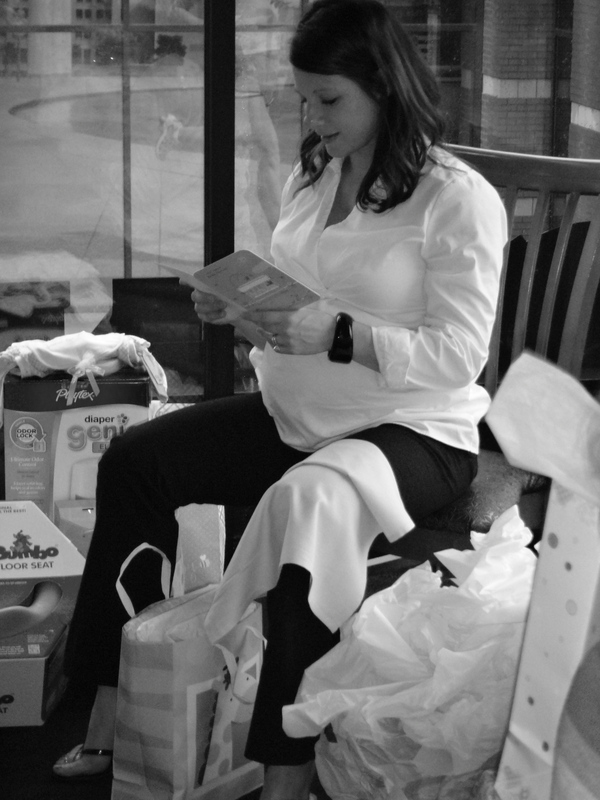 This is a picture of my friend Jen at her baby shower. Isn’t she gorgeous!? I can not have babies of my own (not that I am even dating anyone) and some days that is unbearably saddening. It hurts in a very deep place in my heart. And sometimes it is hard to hear about so many of my friends and family having babies or being pregnant. But something changes once I get to see them. It makes my heart so much brighter and happy. I mean I would never deny someone I care about the happiness of a baby. I could never be sad knowing how amazing being a mom will be for them. I am so excited for all the mommies in my life.